I see we already have a "Live" playlist and a few streaming playlists. I was wondering if there was any appetite for classical music here. If you're interested in classical music,, post what you're listening to or have been listening to. If would like to take the plunge but don't know how to approach such a large body of work, tell us what you've heard before and why you like it and we'll try to give you a few suggestions you might like. I'll start with two well loved Russian Piano Trios. Arensky was actually a student of R-K at the Leningrad Conservatory. These trios are full of Russian folk music tunes and are easy to listen to. I have never heard of the Kinsky Trio Prague before, but they are a young well trained group that sounds beautiful in SACD sound. The piano may be a tad more prominent than it should IMO, but that's nit picking. If I were Ludwig, I'd be hoping to be Victor Herbert's size ! The Hutchins Consort -- Dove Library / Schulman Auditorium -- Carlsbad, Ca. -- 2007-feb-23 -- you guys understand the rest. This is an experiment that went utterly fantastic. Maybe? I found this one a few days ago, misfiled amongst a rather insane dresser full of data discs. It was an experiment in spaced omni mics, where i utilized the arms and chair backs of the front row center seats. i taped the mics to the arm rests right at the back cushion and arm rest interface. The recording is far wider than my speaker placement. Interesting effect. Big classical music fan here, but then it is what I've been doing for a living for the past forty years. That Arensky is a really nice work. I did a couple of performances of it many years ago and was somewhat surprised at how much we really got into it. During the day if I'm at home the classical playlist generally is whatever they are playing on WRCJ FM in Detroit. As there is an enormous range to the programming and they play amazingly few of the old chestnuts I feel little urge to dip into my own library. It also helps that the signal quality is excellent. Every system in the house has a good tuner as a result. I live in what must be a radio-free zone. My wifes car gets an LA classical station, from our house, to about a mile away; beyond that, nothing, except modern country hick-hop. My truck gets none of the classical. the hick-hop is fun in my truck for about 10 minutes, then I'd rather just listen to the diesel purring away. BTW,... my truck has that uber-option of an am/fm-cassette deck. I never really worry about someone breaking into it for its sound system. I consider myself blessed here when it comes to FM. WRCJ broadcasts classical with entirely local DJs and programming until 7 PM at which point it switches to jazz until 6 AM. They also do live broadcasts of the DSO and other local orchestras, Michigan Opera productions and jazz ensembles. Then we also have CBC Radio 1 and 2 plus three PBS stations. Then there are a couple of interesting college possibilities. Some days I have a hard time getting myself to pull out recordings as the material on the airwaves is just so interesting and good. Fantastic! I'm an amateur pianist( unfortunately mostly solo). I look forward to your insights into the music you've played. BBC Radio 3 is my local station and is a fantastic resource. They do classical and jazz mostly with some world music thrown in to the mix. Live music in the afternoon and evenings with some DJ led commercial recordings in the mornongs. I've always loved BBC Radio 3 and listened to it whenever I've been in the UK. I listen online once in awhile as well. CBC Radio 2 used to be quite good, but the classical shows have gone much more mainstream in their music selection and I've heard or more often played most of the choices many, many times. They do have some good Canadian folk programming and if I want to tune into what's going on in the Canadian pop world it is good. We've been in the process of renovations for a couple of years now and I do suspect that when it is all done and my LPs and CDs really well organized I'll be listening to them rather more. 4. Valse-Fantaisie, KSS 40 "Hommage Ã Johann Strauss"
8. A la maniÃ¨re de Sorabji "Au clair de la lune"
This was a very interesting box set. I never really heard anything by Sorabji before, making this a bit of a gamble. Polyrythmic,employing just about every musical form stretching back to the baroque, at times tonal then atonal with amazing ornamentation then complete sparsity,, this is definitely an acquired taste. If you like your solo piano constructions complicated and intricate (I do !! ),and you're looking for something a bit different, you may like this. 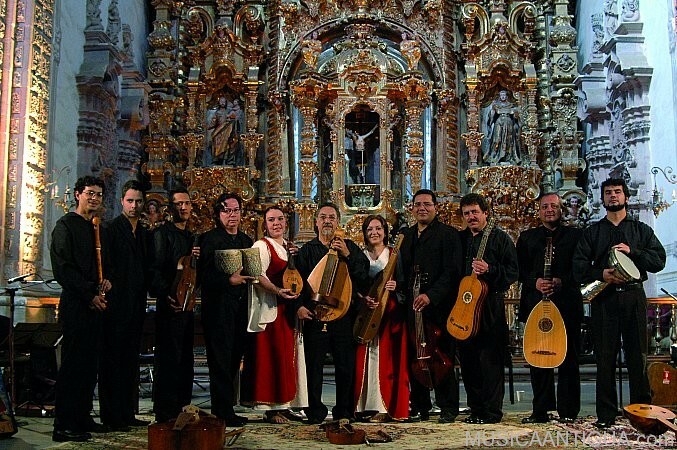 An early baroque and renaissance music concert. A "wet" room with long reverb decay. Handel invented the Organ Concerto as a way to get more " bums on seats " for his orotorios. Played during the intermissions, the chance for the public to hear a world class organist as well as his latest opera became a commercial advantage in an increasingly competitive London music scene. All his famous organ concertos are on these CDs. There are more famous organists than Mr. Sokol (Eastern European and not accessible to the West for most of his career) , but he is a master of his instrument and you lose little by not having a "name" organist playing these concertos. About 10 years ago, I was asked on another site to outline a few general guidelines on how a novice might approach classical music with a minimum of fuss and bother while avoiding the usual novice mistakes. I reproduce it here in case someone can make use of it. It's not an "expert's" view--just a guy who's been passionate about classical music for more than 50 years and learned what works for him and how to avoid making the same mistakes twice. The following is a general rule of thumb for the uninitiated that in my opinion is a good approach to the topic. 1) There is no "best" recording of anything. If you ask 3 critics about the best recording of X, you'll get 3 different answers. If you put them in a room together- all you will get is a lot of arguing and swearing. 2) Classical music is a tiny part of the music business and a marginal profit generator at best. The competition to record is so intense that almost anything recorded will be technically brilliant and the performer a master of their instrument/s ( except for a few scantily clad young women, but that is a relatively new phenomenon). 3) Interpretation of the composer's intent is the only difference between recordings ( discounting engineering and sound quality which is another personal preference and is not as important (IMHO) as some might think). 4) If you don't have a view of how a recording should sound, a library rental is an excellent way of familiarizing yourself with it. Barring that, buy the cheapest recording of it you can find ( the Naxos series springs to mind). Become thoroughly familiar with it. If you then hear another interpretation you like better, you'll know why you're spending premium $ on it! 5) As to which composer/masterpiece to start with, only you can answer that. Start with something you know you like and go from there in any direction you want. 6) Avoid reading classical reviews. All critics have an agenda. The reason why something is " the greatest" or " completely unlistenable" will be lost on you unless you share his exact tastes/prejudices in music. In my opinion it is always something rather pedantic and not really worth worrying about. 7) Trust your ears. If you don't like it why do you care what the Times critic thinks. 8) Enjoy. You'll never be bored and you'll never run out of material to discover. German born, he spent his working life in Sweden, Kraus is known as the Swedish Mozart because he was born and died in the same years as Wolfgang. Not in the same league as Mozart or Haydn, but lovely melodies and harmony. My avatar is a painting of him as a student. Classic 60's recordings from a legendary maestro and orchestra. Ancient music, early renaissance, played on pre-western era instruments; instruments of the Silk Road. I found three pristine records at a thrift store for .50Â¢ apiece. Famous 1961 recording that isn't fashionable these days, but with first rate soloists and orchestra/conductor.